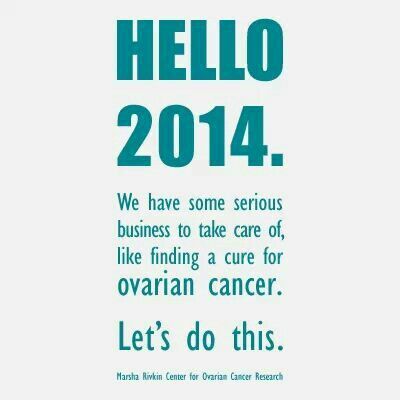 Happy Ovarian Cancer Awareness month! Let’s give it up for the lovely ladies that have lived with/live with OC and honor the cancer crushers that are no longer with us in the physical world. 60% of women with Ovarian Cancer are diagnosed at stage 3. Listen to your bodies ladies! Chemocation ended a week ago. It was glorious! After only two days, the sores in my mouth disappeared entirely. My skin cleared up and has returned to it’s normal, sun deprived, pale-ish glow. I had more energy than usual and, as noted in my last entry, got a respectable amount of deep cleaning done in my apartment. The best part of chemocation was the food. After a few days I essentially ate anything that I wanted without consequence. The key word there is that there were days that I wanted to eat. Cory, being the thoughtful gentleman that has is, drove up from CT last Wednesday to take me out for a dinner. He made sure that the last night of my chemocation was special and said that we could go anywhere I wanted. We went to a new spot in Providence called Providence G and we dined on the rooftop. The weather couldn’t have been more perfect and the food was amazing. We gorged on a lobster BLT appetizer, pork belly appetizer, and a brick oven margherita pizza (yeah, yeah, I know it’s not the portrait of health but I apologize for nothing). It was the first time in a long while that I truly enjoyed the experience of dining. Sharing this meal with my partner in crime was a huge bonus. I’ll shut up about eating in a second but I must acknowledge the myriad of ice cream flavor suggestions that I received at the beginning of chemocation. I appreciate the all of them and wish I had the time, money, energy, and stomach capacity for every suggestion. I went real classic with this one and ended up getting a small strawberry milkshake. That did the trick. I have been back “on drug” (to quote hospital jargon) since last Thursday. I made a quick trip up to Boston and have continued the initial dose a week ago. It kind of hit me like a ton of bricks. I felt fine until the next evening after work when I came home and napped for about 4 hours, took a bath, then slept until the next day. On Saturday after my good night’s sleep (borderline coma) I felt pretty good. I had to work for a few hours in the morning then drive to CT to see Cory. In CT I had stretches of time where I felt totally fine and other moments where my stomach revolted and vomiting/unpleasantness ensued (did I mention that my boyfriend is incredibly tolerant?). To sum it up, the past week has been a mixed bag of feeling okay and less than okay. My next doctor’s appointment and CT scan will be on September 19th and 20th. We will discuss dose reducing with my medical team at that time. I am curious to see if there has been more tumor shrinkage. One can only hope considering the toll these drugs are taking on my body (fingers crossed). I must invest all of my faith into this for now and believe that it will pay big dividends. To end on a happy note- my CA 125 has gone down to triple digits. 956.5 (gone are the days of splitting hairs over 34 vs. 37) I’m just happy to see it come down from over 1200. My “safe” number according to MGH is below 35 and according to WIH my “safe” number is under 21. Ultimately the only test that matters is a CT scan that says “No evidence of disease”. Let’s aim for that, okay? GO TEAM. You continue to be in the heart, thoughts and prayers of the Hurley clan. Wishing you more lobster blts, margherita pizzas and strawberry milkshakes in the near future. Hugs and Hope to you, Jess. XOXO from CT.
Sending positive vibes your way, pretty lady! I’m so happy you enjoyed your chemocation and can’t wait for the rest of your life to be a chemocation! Go team is right! Woot Woot! To my strong Jess, Keep your spirits up, know that you have it IN YOU to beat this thing. Love and Light to you always!! !